Take a cruise down the beach in Crocs Santa Cruz Playa for Men. 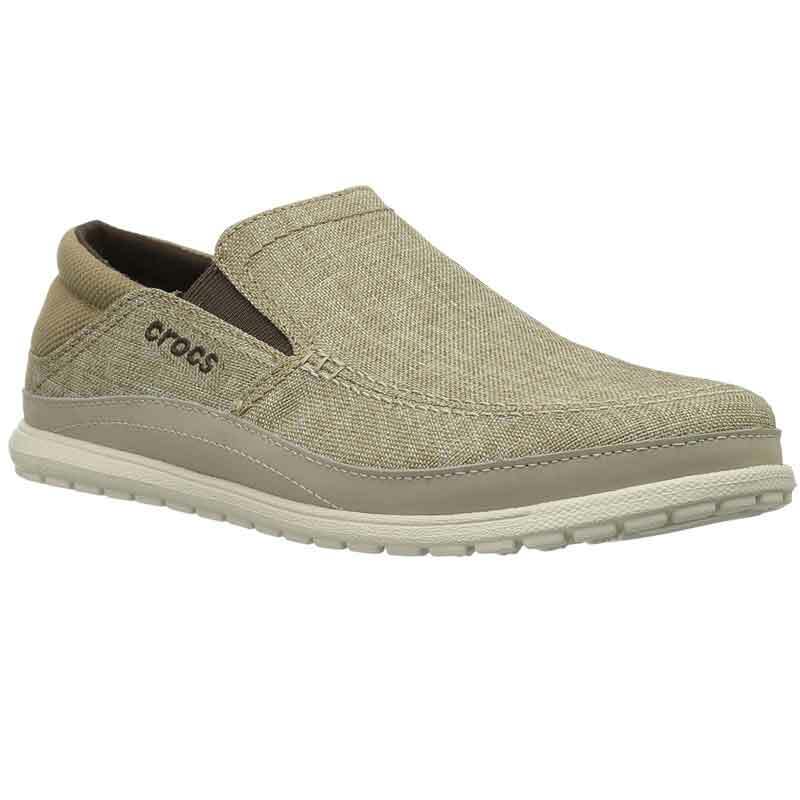 This stylish slip on shoe will provide any beach bum the comfort he needs with the padded heel cups and Dual Crocs comfort providing all day support. Don't feel like dragging them on? These shoes come with a heel that folds down and converts the shoe to a slide for ultimate leisure. The molded Croslite outsoles will ensure you never miss a step of your sunny summer, while the twill canvas uppers will turn all the heads you pass. Come step into summer with Crocs Santa Cruz Playa.